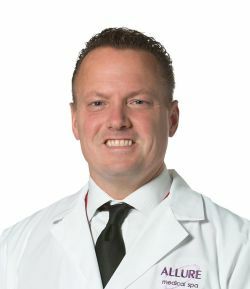 Dr. Carl Pesta is a McLaren Macomb board-certified general surgeon and a “Center of Excellence” bariatric surgeon who specializes in advanced laparoscopic surgical weight loss procedures. Dr. Pesta has more than 18 years of experience as a surgeon performing more than 5,000 bariatric procedures and is currently performing ORBERA™ Intragastric balloon insertions for Allure Medical. He is also highly skilled in performing upper blepharoplasty procedures, combituck, liposuction, and breast augmentation. Dr. Pesta earned a medical degree from Michigan State University’s College of Osteopathic Medicine, followed by his residency at McLaren Macomb and a bariatric surgery proctorship at Henry Ford Bi-County Hospital. His experience in bariatric procedures runs the gamut, including revision and conversion procedures. He currently heads up the comprehensive bariatric program at McLaren Macomb. This program provides a comprehensive, multidisciplinary approach to caring for the health care needs of patients undergoing bariatric surgery. His knowledge and insight into long-term weight loss procedures are shared every day with our patients here at Allure Medical.